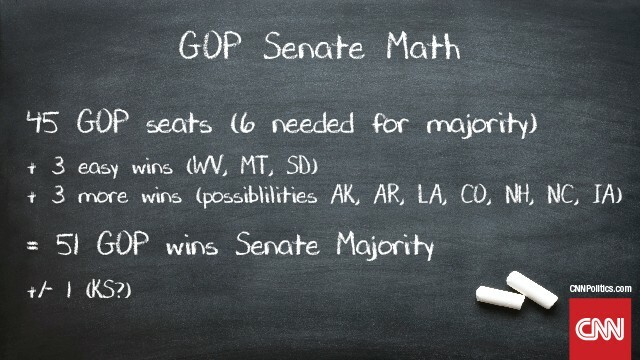 Have Democrats already lost the Senate? Washington (CNN) - Four weeks away from the 2014 midterm elections and even some Democratic operatives struggle to imagine a scenario where they retain control of the U.S. Senate. The terrain and current momentum seem all but overwhelming and against them. A new CNN/ORC poll out Thursday morning suggests a Republican lead over a Democratic incumbent, this time in Alaska, and does nothing to calm Democrats' nerves. "If you put a gun to my head, I guess I'd say that we're going to lose the Senate," one Democratic consultant told me in a moment of anonymous candor.